As I mentioned when talking about racing earlier, I'm going to run a prototype version in the UK starting next week. Just to see how it works really. This is a first draft of the instructions that I'll put in each book – your comments and insights are welcome – please let me know if you think I've missed something obvious. then please add an entry as described below, put the book in the jiffy bag, seal the jiffy bag and pop it in the post. Start a new page for your entry. Put your name, today's date and your location, preferably a postcode (the first part only will do eg BS1, W14 etc) at the top of the page. Keep it moving, if you can let it go again within a day that would be best. 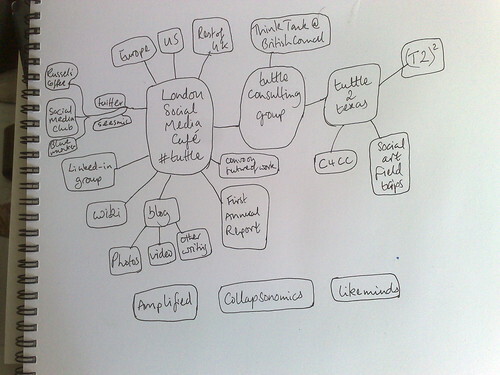 Just take it straight there – this is about a human-scale journey, not necessarily efficiency. Hold on to it for more than a couple of days maximum. Add anything else to the package that will increase the postage. Modify the packaging so that it can't be posted. 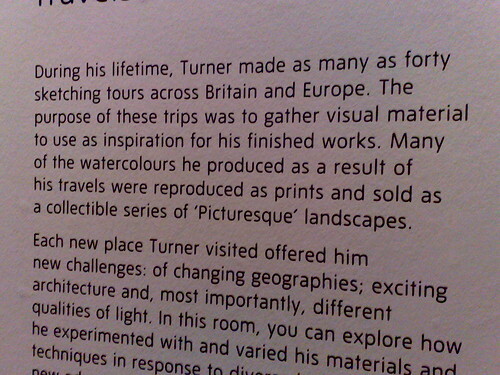 There's a nice little side exhibit at Tate Britain on Turner's use of Colour and Line. It includes this descriptive panel which caught my eye in relation to this project. What was tourism like in the early 19th Century? How did these travels work? The story of the journey itself is secondary to the things that get made as a result of the journey.